Megan says she put her adopted mother through the ringer emotionally when she was a teenager. She thinks that’s partially because of her anger with her birth mother over her relinquishment. 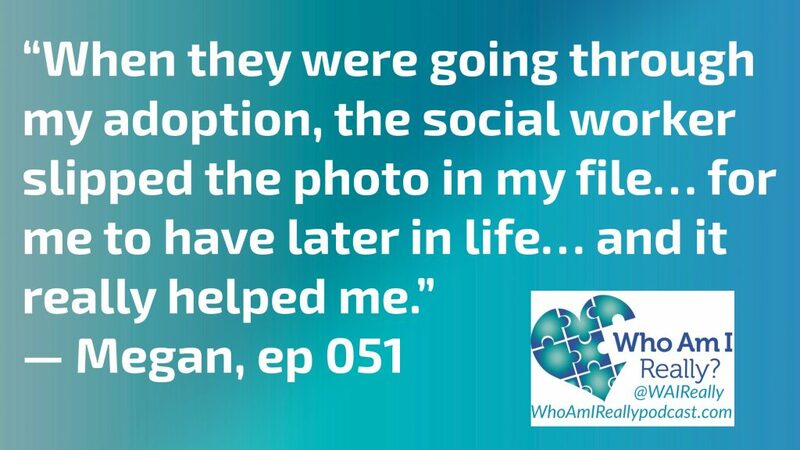 Most adoptees have no clue whom they’re setting out to find when searching for biological relatives, but Megan knew precisely who her birth mother was and what she looked like. In reunion, she found her half-brother who knew Megan’s birth father’s identity, because they were friends.